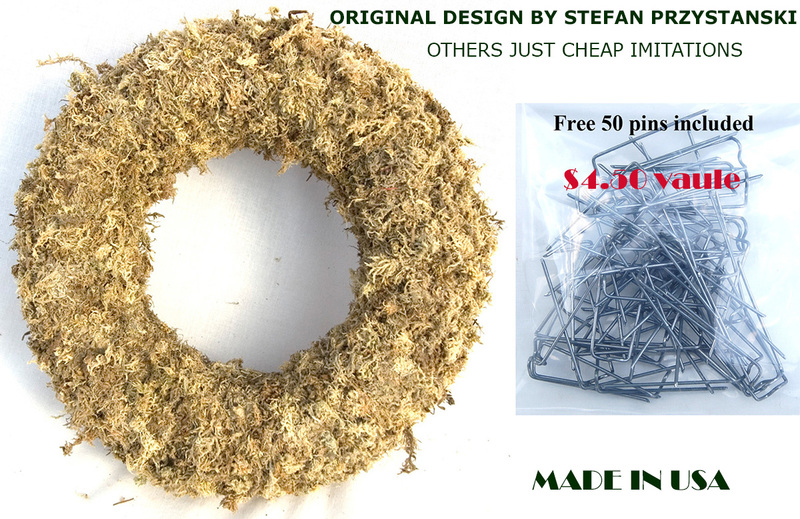 Home > LIVING WREATH FORMS - THE BEST ON THE MARKET! > Living wreath round sphagnum moss form - 9"
All photographs and designs appearing on this site are the property of Stefan Przystanski and Topiary Art Works & Greenhouses, LLC. They are protected by U.S. Copyright Laws, and are not to be downloaded or reproduced in any way without the written permission of Stefan Przystanski & Topiary Art Works & Greenhouses, LLC. Copyright 2018 Stefan Przystanski/Topiary Art Works & Greenhouses, LLC. All Rights Reserved.